We have a wedding to go to in July and I thought they might appreciate something hand made. 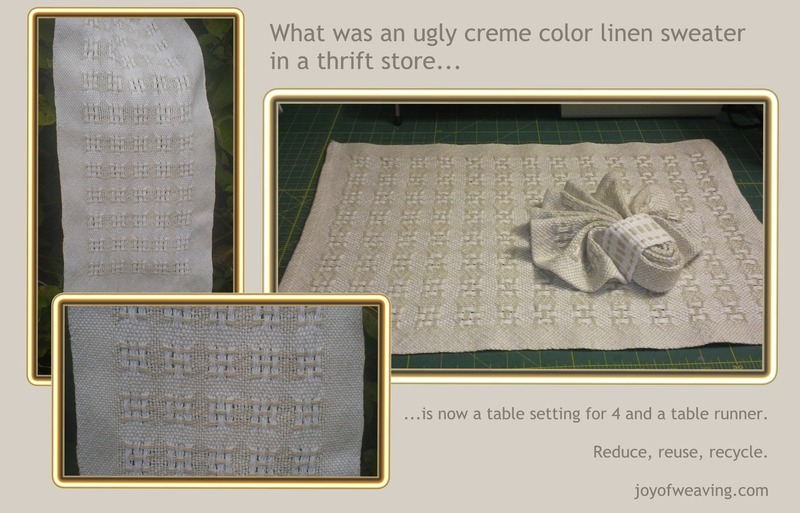 I decided to make a matching set for a table setting: table runner, placemats and napkins. 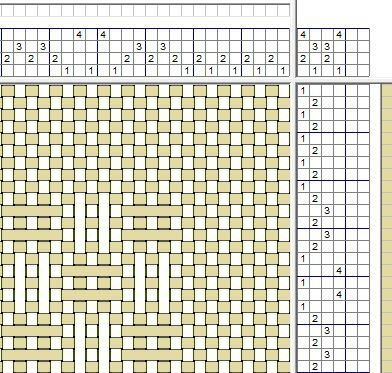 I will probably also weave napkin rings on the inkle loom. I had a cream colored sweater that I frogged a long time ago. 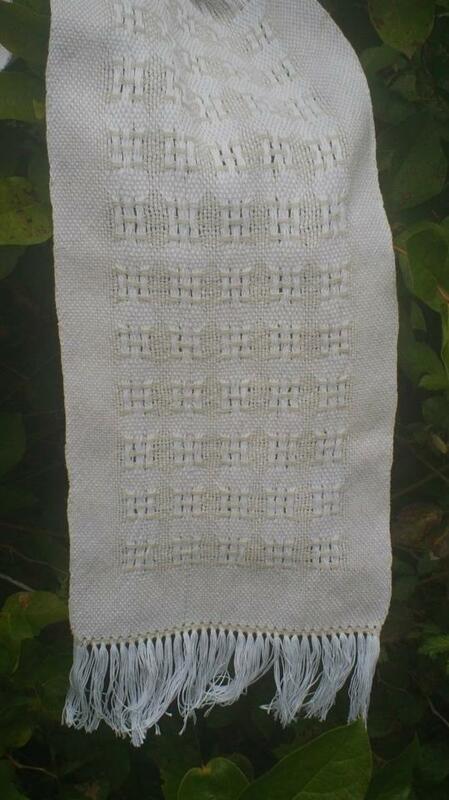 I was fortunate that it was linen. I wanted to use it in towels originally but decided to hold off and use it for something special (since linen sweaters are hard to come by). Weddings are pretty special so I decided to use it for a gift. 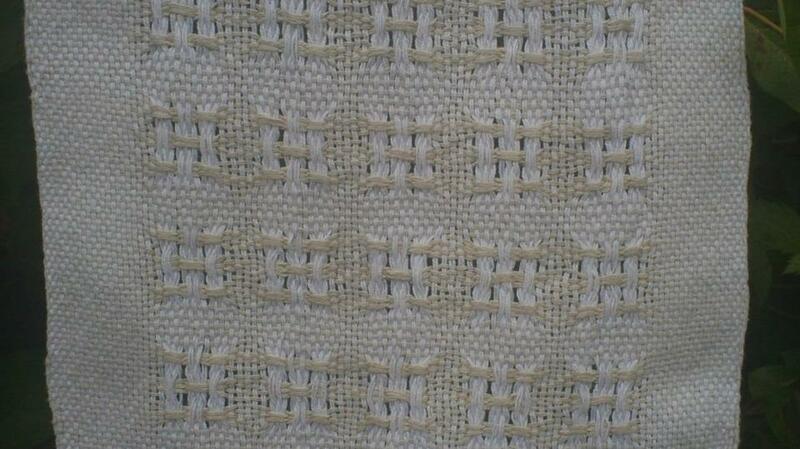 I used white #10 crochet cotton (doubled) for the warp and the cream colored linen yarn for the weft. This turned out to be a very nice combination!